Get your maintenance schedule in one place and share it with everyone. The best practice for work order scheduling distilled into a simple tool. Easy to start, easy to learn and you can try it for free. Watch this 2-minute video to learn how to build an effective planned maintenance schedule in 75% less time, easily optimize craft utilization, update daily schedules in minutes, and review KPIs for compliance. 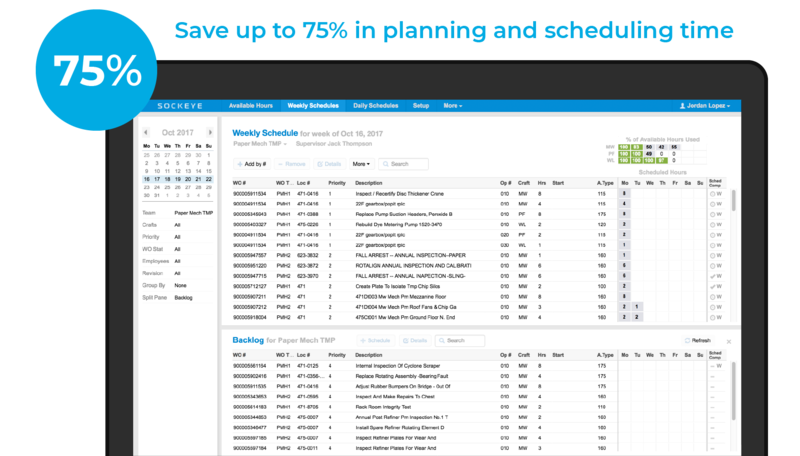 Schedulers and planners save up to 75% in scheduling time with Sockeye, which automatically retrieves all ERP data and labor availability. Scheduling is 4 times faster. Planners easily create work order schedules from the CMMS backlog to optimize crew utilization based on crafts, freeing up valuable time to plan and schedule more preventive work. Sockeye’s greatest advantage is ease of scheduling. What used to take me up to five days of work can be now done with Sockeye in just under an hour." Reliability leaders report that planned maintenance is 3 times less costly and 5 times safer. With Sockeye more planned work is prioritized and completed. The result? Fewer breakdowns, a safer workplace, and the KPIs to prove it! Sockeye computes SMRP metrics in real-time to easily track and monitor maintenance efficacy facility-wide. 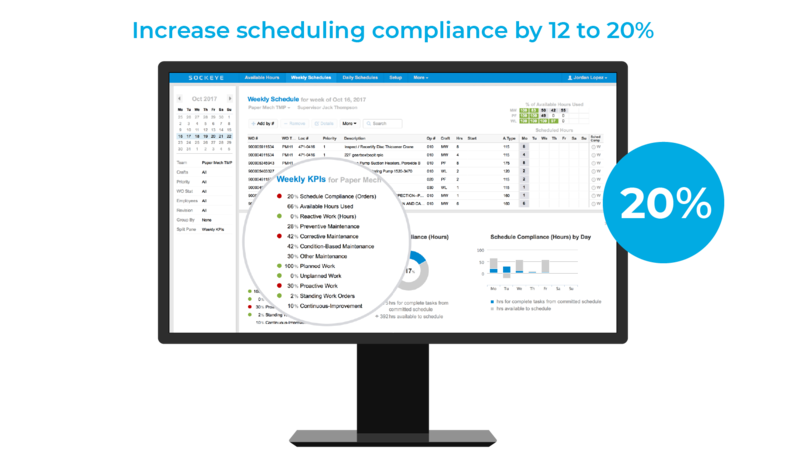 It can help increase scheduling compliance by 12 to 20%. Sockeye eliminated the ambiguity associated with previous spreadsheets. We have a company-wide focus on reliability. Right now, that is our key metric. What's generated out of Sockeye is the bible." Industry experts say adherence improvements can reduce maintenance costs by over $1 million annually per 75 techs. How? By increasing wrench time, minimizing accidents, and reducing parts inventories. Operational and reliability professionals who rely on Sockeye confirm that a 10% increase in preventative work boosts uptime by 1.2 to 1.8%! 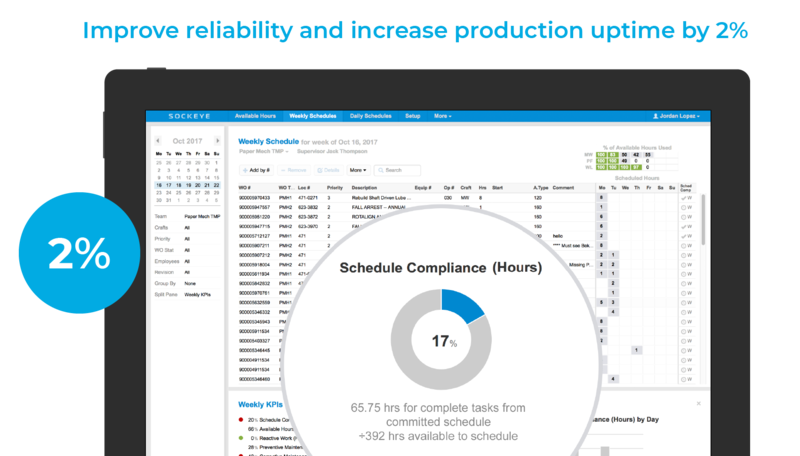 Sockeye’s enterprise users report 12-20% improvement in scheduling adherence correlating almost exactly to the time Sockeye saves planners." Is there a functionality gap in your CMMS system for maintenance scheduling? 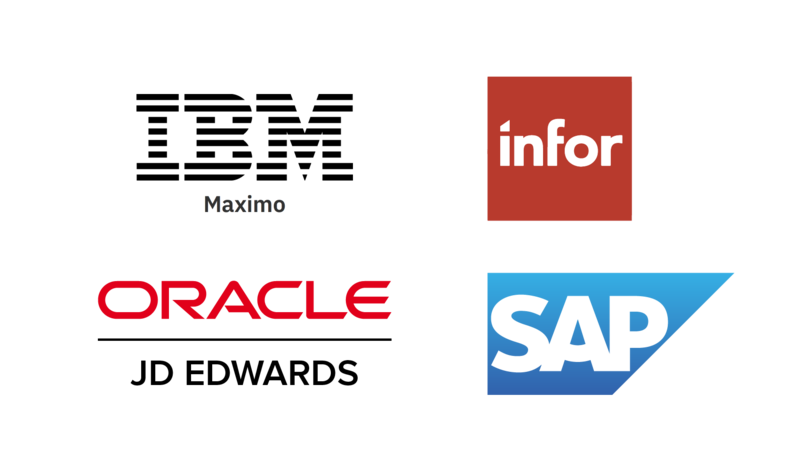 Sockeye is designed to extend ERP/CMMS systems to unlock the power of effective scheduling, keeping data synced for one to 1000 plants. The front-end is web-based and the back-end runs securely on Microsoft Azure. With no business rules to set-up, a plant is up and running within a week. Strictly from an IT perspective, implementation was quite simple. Deployment was a piece of cake, really."